Seal Pro has been sealing interior and exterior surfaces since 2005. 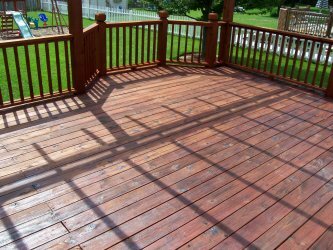 We specialize in multiple sealant applications including weatherproofing decks, fences, advanced epoxy flooring applications, waterproofing, concrete sealers, various resinous flooring, decorative flooring, stained concrete, polished concrete, concrete overlays, decorative basement flooring as well as interior and exterior painting. Our goal is to provide state of the art cleaning and maintenance solutions that will help you protect your investment! Our highest priority is to make every single customer 100% satisfied. If for some reason we did not meet your expectations, give us a call and we will make it right. Here at Seal Pro we intend to only offer you the highest quality products with the best service in the industry. We aren't satisfied till you are satisfied.